Former Zambia Air Force commander Andrew Sakala has been convicted of theft, and faces a possible 15 year jail term. Lieutenant General Sakala was found guilty of pocketing around K1, 500, 000 that was earmarked for covert security ahead of 2011 elections. 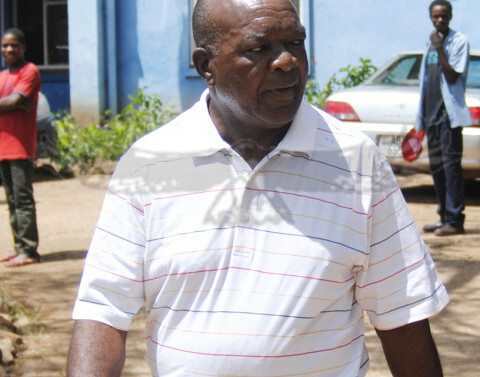 A Lusaka court found two other top brass – former Zambia Army commander General Wisdom Lopa and former Zambia National Service (ZNS) commander General Anthony Yeta – not guilty on the same charges. This is a matter in which the three former service chiefs, Lopa, Sakala and Yeta were jointly charged with theft by public servant involving K1.5 million. “The prosecution has failed to prove the case against the two accused persons and I therefore acquit them,” Magistrate Wilfred Muma said in court. “I have found the accused number one guilty as charged,” he added, referring to Sakala. The magistrate asked Lopa and Yeta to leave the dock while Sakala remained alone. Sakala’s attorney said he was not ready to mitigate for sentencing and the court adjourned until October 10. The maximum sentence for the offence of theft by public servant is 15 years.